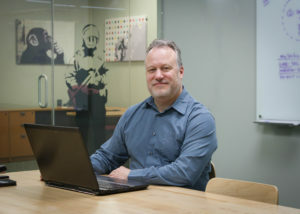 Andy is a skilled developer with over 30 years of professional experience in IT and development. He is an expert in C# (among other things) and excels in creating both desktop and web-based solutions. Andy has comprehensive experience in all phases of application development, from initial requirements gathering, to system design, specification, and project planning. In October 2012, Andy became a contractor with Red Cedar Solutions Group and since has proved to be a great asset. Andy went to Michigan State University where he earned a Bachelor of Science in Electrical Engineering with a Computer Engineering Option.